Explore the Power of the Sun! The sun is a large part of Mexican culture and heritage and holds an honored place in festivals and rituals. 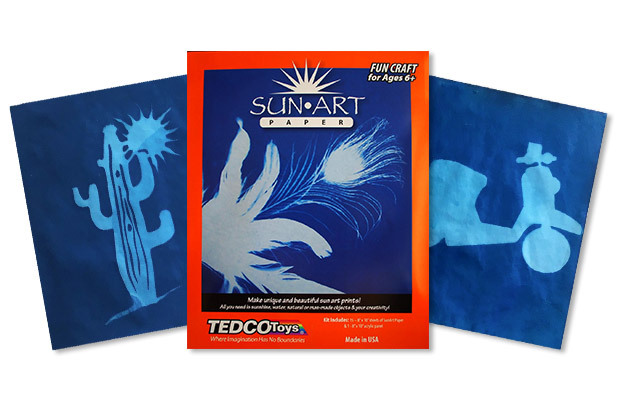 Participate in a piece of Mexican heritage by making your own sun art! 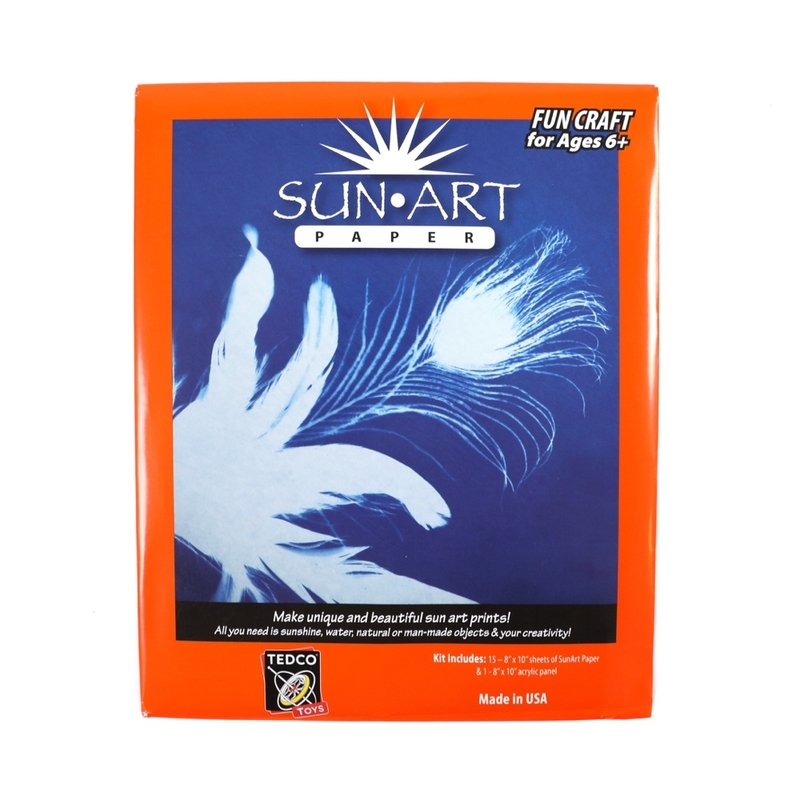 Kids will love making their own beautiful and unique prints with 15 sheets of cyanotype paper, which is a light-sensitive coated paper. 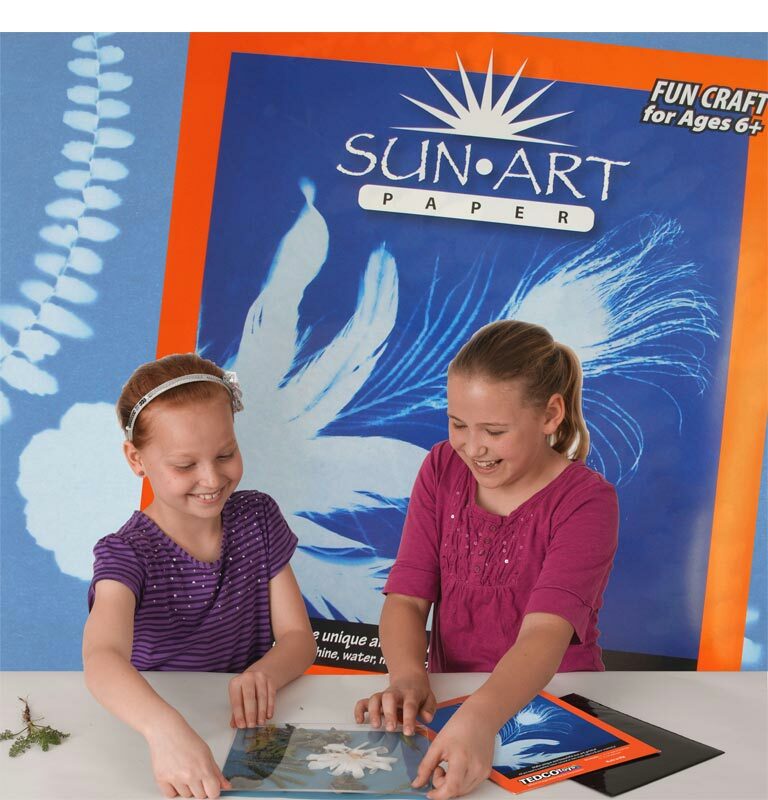 Use objects with interesting textures and shapes like flowers, leaves and stones to lay on top of the sun-sensitive paper, and watch the paper transform in the sun’s rays, even on an overcast day or inside a large window. 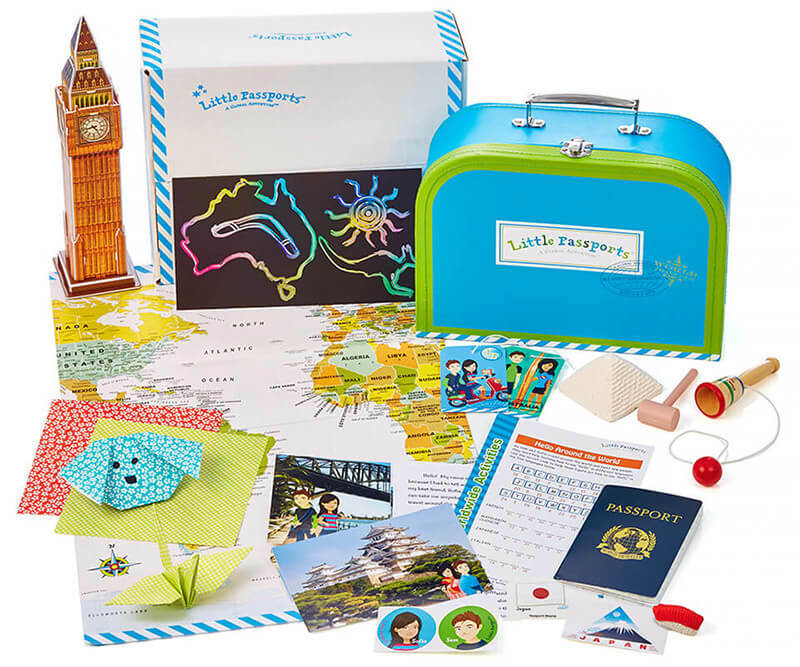 This art kit is perfect for art projects, science experiments and more!